Situated in the heart of county Leitrim, this busy village is at the foot of Slieve Anierin (the iron mountain) and the Arigna Mountains. 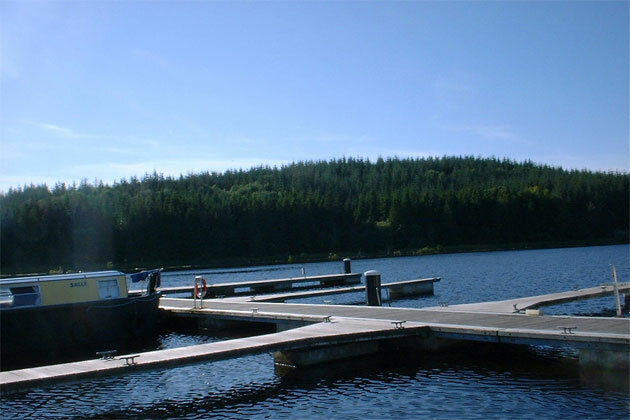 The population of over 700 people make this a friendly town on the banks of Lough Allen, and it is known as an angling resort. Nearby Acres lake provides pleasant surroundings and amenities. The area is surrounded by scenic woodland, and is easily accessible by boat, road or rail. 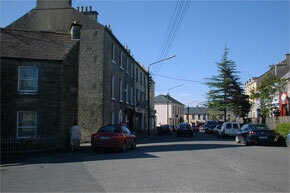 An annual festival known as 'An Tostal' is held annually in the village, with an emphasis on Irish traditional music. Evidence of a bronze age community was found on O'Reilly's Island in Lough Allen, when the lowering water level revealed evidence of an ancient bridge to the island. Bronze swords and dugout canoes were among the artifacts discovered here. There are remains of some monastic buildings and an ancient frontier earthenwork near rhe village of Dowra. 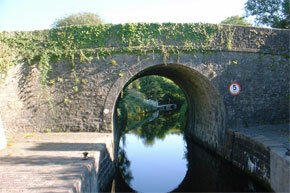 The Lough Allen canal was originally built to take coal mine from the Arigna mountains down to Dublin via the Royal canal, but was unsuccessful because the coal was more expensive than imported coal, and also due to the completion of the narrow gaouge railway in the area. In the 1920's, Lough Allen was converted to a reservoir, which led to great fluctuations in the level of the surrounding waterways. The river between Leitrim and Drumshanbo produces some very good quality roach, particularly at the famous Battlebridge stretch, which has excellent fishing for stick floats. Acres Lake has a busy amenity area but has good stocks of hybrids, roach, rudd and bream. 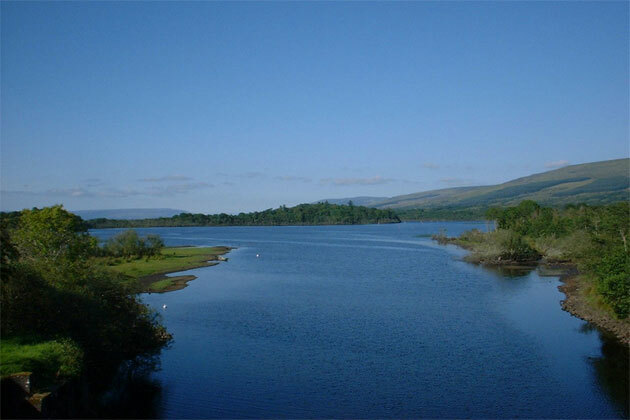 Lough Allen: This lake covers some 15000 acres, and due to fluctuating water levels, it's a good idea to seek local advice before fishing this lake. There's plenty of bream, roach, hybrids, rudd and perch. 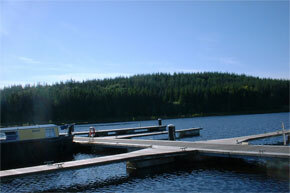 The lake is famous for big pike and wild brown trout. Carrickport lake is about three miles from the town and is a good water with bream of 3-4lb and good roach and hybrids. The lake has depth of up to 20 feet. Lough Scur is a well known water which can be accessed via the Erne system. Plenty of bream, roach, hybrids, skimmers and perch. The water 6 - 10 feet deep. Keshcarrigan lake needs some baiting, but bream of up to 4 pounds have been caught here, along with roach, perch adn hybrids. Drumlaheen lake covers over 200 acres, and although it's not easy to fish, some of the biggest bream and roach have been caught here. Battlebridge: The name suggests that Battlebridge was the scene of a great battle, and there were some skirmishes in this area when General Humbert led his French forces up river to Castlebar in 1798. There is some nice mooring here and a fine old stone bridge. A heritage centre is located in the old market house, and highlights the history and folklore of the town. Lough Allen has several points of historical interest. Evidence of a bronze age community was found on O'Reilly's Island in Lough Allen, when the lowering water level revealed evidence of an ancient bridge to the island. Bronze swords and dugout canoes were among the artifacts discovered here. Ther are also the remains of a church on Inismagrath at the north west of the lake, ascribed to St. Beog. There are two other ruined churches at Tarmon and Conagh. At the village of Dowra there is an ancient frontier earthwork that runs for three miles. According to folklore, this was created by a great serpent, or a monstrous black pig - hence the names the 'Worm Ditch' and the 'Black Pigs Race'.